Here at Lines & James we are committed to fundraising for good causes. These are some of the recent events that we have been involved in. Pat & Abie took part in the London Marathon 2017 in aid of the Breast Cancer charity Walk the Walk. This is something that has always been on both of their bucket lists however property is their thing not running. In true Walk the Walk custom they ran the 26.2 miles in decorated bras to unite against Breast Cancer. 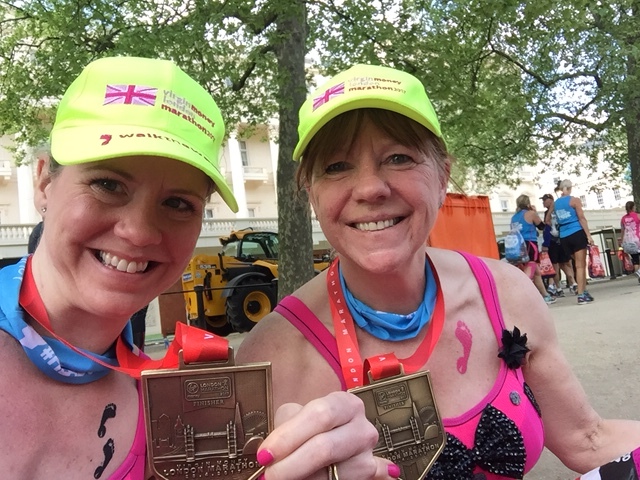 The mother and daughter team completed the marathon together in a time of 5 hours and 37 minutes and raised over £7000 for this amazing charity. 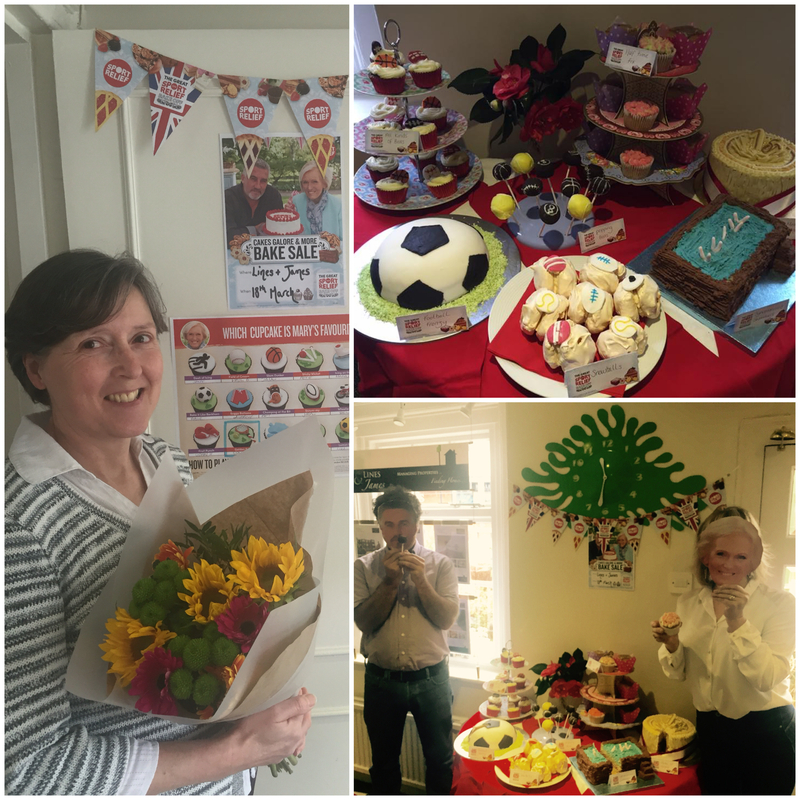 This year we decided to support Sport Relief with a bake off. The staff all baked a sport themed cake and we had two judges who became our Paul Hollywood & Mary Berry. They selected our accounts lady Jane’s Lemon Dribble Cake as the winner and she received a bouquet of flowers. 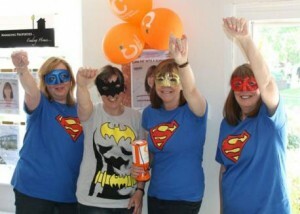 We were delighted with the response and made a total of £124 for this great cause. 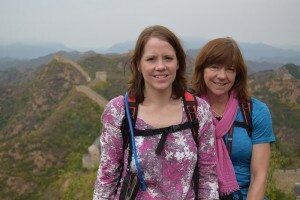 Thank you so much for everyone who supported Pat & Abie in the Chestnut China Challenge. They returned without a single blister, full of achievement and memories from their amazing adventure. 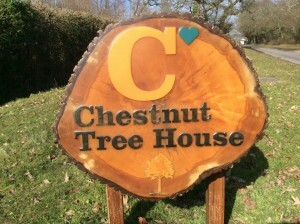 The pair are over the moon that their fundraising target of £6,000 for Chestnut Tree House has been exceeded especially as this incredible children’s hospice relies on donations to keep its doors open. We were delighted to be a part of the great Elephantastic Charity Project for Horsham’s local businesses, traders and organisations. 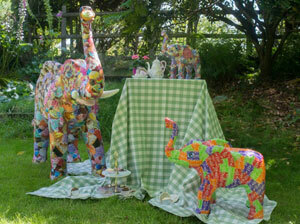 We acquired and decorated a small family for the children’s trail that took place over the summer. Our chosen charity was Chestnut Tree House Children’s Hospice and some of the children there decorated “Starburst”, our middle sized elephant. 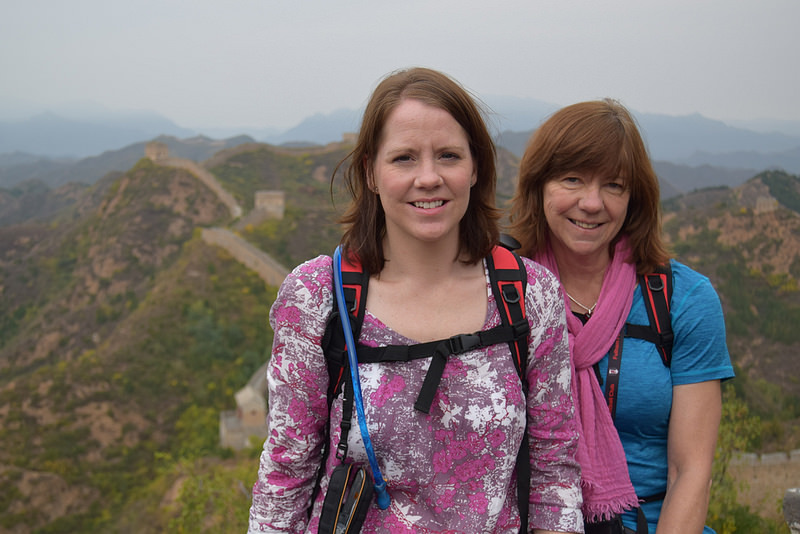 The team at Lines & James have always supported Breast Cancer charities and over the years have completed a number of Moonwalks for the cause. 2014 was the last one and the girls walked 13.5 miles in their bras through the damp streets of London on a very cold night!!! Each year, instead of sending Christmas cards to Landlords, Lines and James have donated money to Chestnut Tree House. It’s been a great success with donations of around £1,000 going to such a worthy cause. We also support our local schools by offering places for Work Experience to the local secondary Schools. The students have a great time here and we have some lovely thank you cards saying things like “you are all really nice” and “I’ve had a great and fun time”. At Lines and James we can all wear our jeans on a Friday for the small donation of £1. All the money that we raise goes to the Chestnut Tree House Children’s Hospice.